Solid Waste Disposal manages the Hatch Hill Solid Waste Disposal Facility that serves Augusta and eight surrounding communities with its landfill, transfer station and recycling program. Hatch Hill is located on Route 105 (So. Belfast Ave.) and is open Tuesdays through Saturdays from 8:00 a.m. to 4:00 p.m. 207-626-2440. Permits for use of the facility are available at Hatch Hill or the City Center in the Bureau of Treasury and Tax Collector. There are now TWO large single stream recycling containers located in Augusta. Public Works - 55 North Street - open Monday-Friday 7am to 4pm (no charge), extended hours on Wednesdays until 6pm and Saturdays 8am to 1pm. People are encouraged to use their own reusable containers to store their recyclables. A new recycling bin will not be provided. 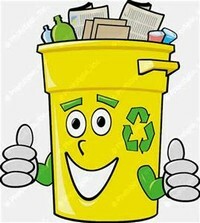 Ecomaine has provided informational material for us to hand out (including the do’s and don’ts for what can be recycled through their program and what cannot) and information is also located on the City’s web page and various city FB and Twitter sites. Communities that use Hatch Hill for their solid waste disposal will have access to the container at Hatch Hill. This information has been supplied by The Prevention Center at Maine General Medical Center. Information for upcoming events will be updated as they become available.